Wizards of the West giveaway | Cosa Mi Metto??? Hello girls, how are you? I hope you had an amazing New Year's Eve!! -Follow Wizards of the West on facebook and post your favorite item on their facebook wall! 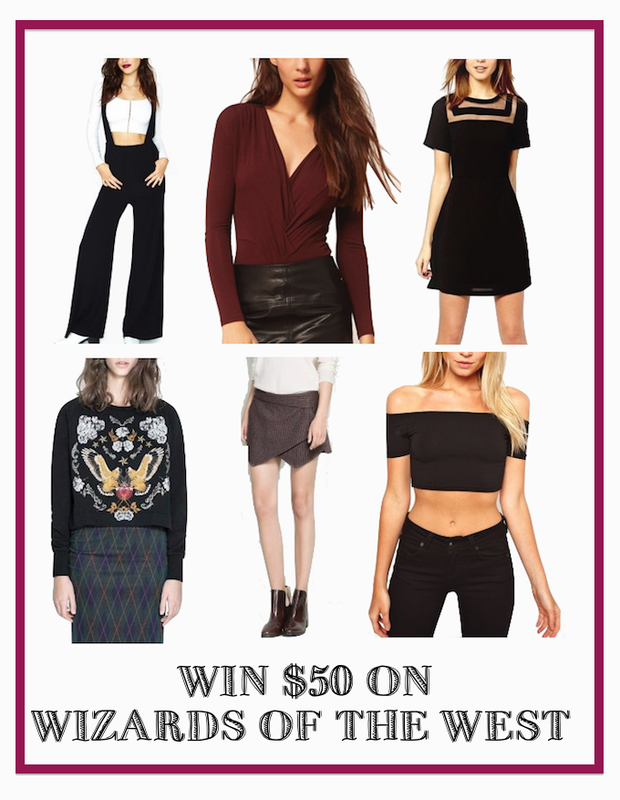 -Leave a comment under this post with your email to be contacted in case you win! The last day to enter the giveaway is January 7th! Good luck! Ciao ragazze, come state? Spero che abbiate trascorso un fantastico Capodanno!! -Lascia un commento sotto questo post con la tua email per essere contattata in caso di vittoria! L'ultimo giorno per partecipare al givesway è il 7 Gennaio! Buona fortuna! fb name: courtney b villari! partecipoo grazie per l opportunitaa bellissimo give! Thanks for your comment on my blog. Great blog and giveaway. Happy New Year! partecipo! spero di esse fortunata! !